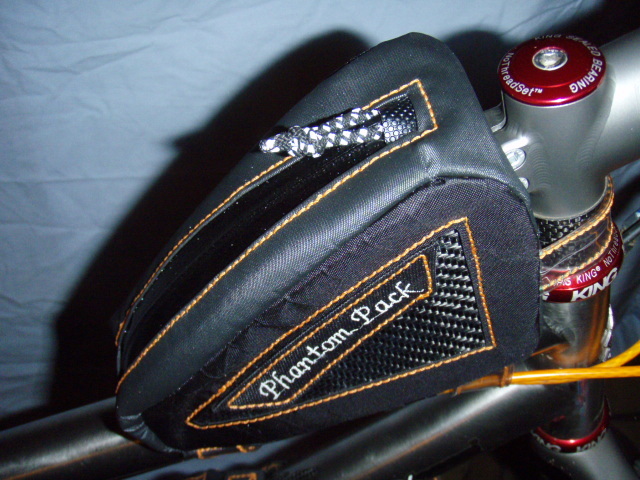 ​Phantom Pack Systems is happy to say our bike packing line of products is rolling into production with the Top Tech and Top Tech 2. 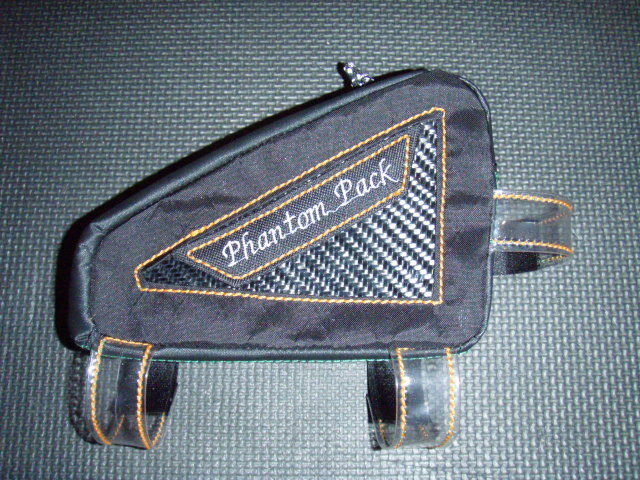 This top tube style storage bag is easy excess while riding,For snacks,Cell phone,sunscreen,etc. Featuring YKK water resistant zipper and slider. Hypalon and 1680 ballistic nylon reinforced edge with extra padding to protect frame and headset. Transparent polymer and polypro webbing used for connection straps. Tuff-tek cover over zipper stop for additional water protection. Zipper pull features 3M reflective tracers and is easy to grab. Semi-rigid Carbon fiber or Kevlar/Carbon weeve side panels give stability and a sense of bling to this quality piece of bike packing gear. 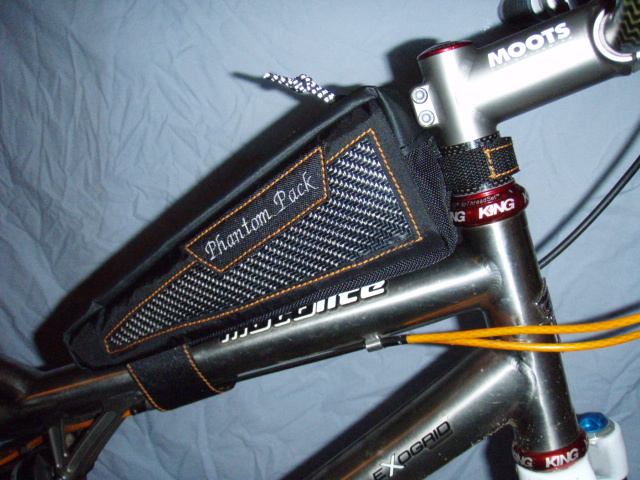 Top tube bags are fully lined with X-pac Vx-21 . ​Top Tech-A top tube bag that will get the job done,With a touch of class. New-Top Tech 2-A longer/Shorter version of the oringinal Top Tech that allows for your load to be spread out over a larger surface area of the top tube.